Houston - Corporate Jet Charters, Inc.
As America’s fourth-largest city, Houston is a cosmopolitan destination, filled with world-class dining, arts, hotels, shopping and nightlife. Take a stroll through the historic Heights, spend the day exploring the Museum District or head down to Space Center Houston. You can grab a bite in one of dozens of award-winning restaurants, or experience the nightlife on Washington Avenue. There’s always something to do in this Southern hospitality meets urban chic city. For the business traveler, Houston’s economy has a broad industrial base in energy, manufacturing, aeronautics, and transportation. It also leads in the health care sector and building oilfield equipment, and is rivaled only by New York City for more Fortune 500 headquarters. 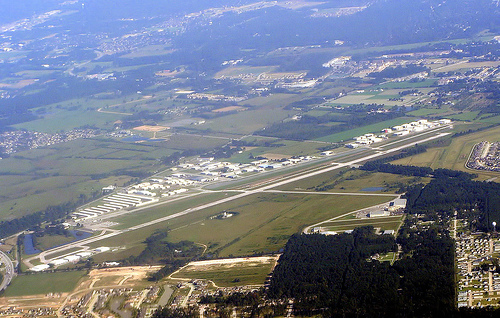 David Wayne Hooks Airport, one of the largest private airports in the United States, specializes in general, business, and military aviation services. For fifty years, Hooks Airport has developed and maintained first-class facilities for the discerning business traveler. Conveniently located twenty three miles northwest of the central business district of Houston, the airport is known as one of the best option for business travelers into the region. This airport features two runways with the longest being seven thousand feet and a seaplane runway that is two thousand five hundred feet long.